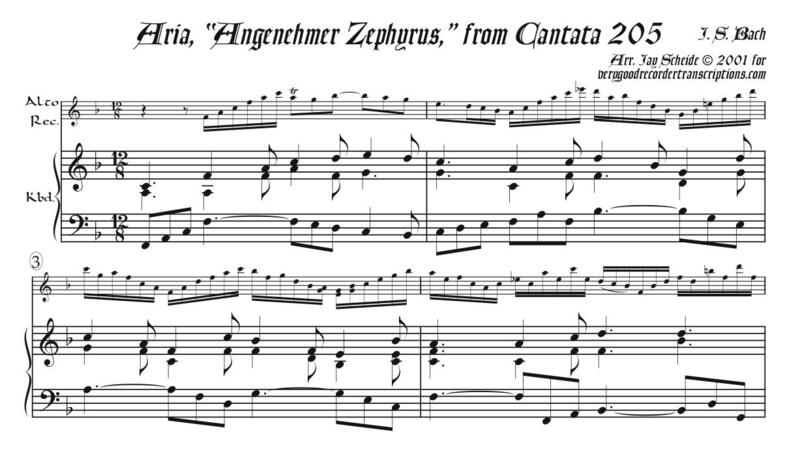 Originally for soprano, violin, and continuo, transposed from E major to F, this aria is the ninth number in the cantata. NB: Recorder part switches between Alto and Tenor. NB2: This is not an easy piece, especially at the lively tempo that is needed, and an optional but highly recommended high A is called for on the alto. Title means, "Charming Zephyr." Revised 1.13.18.